Salolampi, the Finnish Concordia Language Village. Photo by Sheldon Green. Sophomores have an opportunity this spring to go on a retreat that will address such topics as vocation, career and leadership. 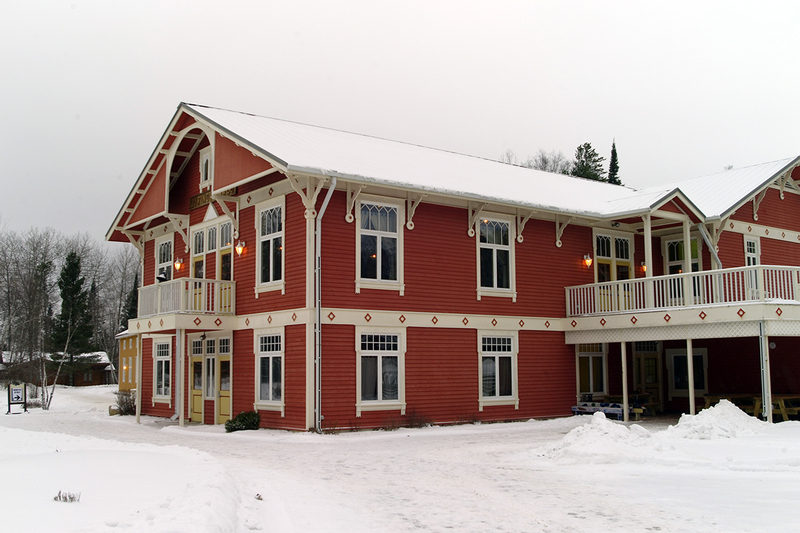 The retreat will take place in the heavily forested Salolampi, Concordia’s Finnish Language Village in Bemidji, Minn. Associate Dean Dr. Lisa Sethre-Hofstad and Director of Student Leadership and Services Chelle Lyons Hanson are teaming up to plan the retreat. “It will be an opportunity for (sophomores) to really reflect on what they love to do,” Sethre-Hofstad said. Sophomore year is when students should focus on their career and vocational goals, according to Concordia’s four-year plan. The goal of the sophomore retreat is to facilitate this reflection, Sethre-Hofstad said. “(The) second year is a time to reflect: ‘Okay, where do I see myself landing?’” she said. Though the trip is still in the early planning stages, the idea to focus on the sophomore year in a similar setting has been tossed around in the past. Lyons Hanson said she served on a panel of faculty that was charged with the task of discovering how students thrive, and the second year was a large part of their discussion. There has also been talk within Student Affairs about what a response to the president’s strategic plan would look like from their office. The second year of college tends to receive less attention than the first year, even though students are still going through changes and making major decisions, Lyons Hanson said. “There’s a different kind of transition that happens every year,” she said. Lyons Hanson added that the trip will help sophomores discover what areas they are truly interested in being a part of. She said there are so many opportunities for students to be involved on Concordia’s campus and that the first year is, largely, about exploring those opportunities. “Students can kind of get on this treadmill of involvement,” she said. The second year, on the other hand, should not be about more involvement, but instead more purposeful involvement, she said. “We want students to be able to explore who they want to be in the world, not just what they want to do,” Lyons Hanson said. Because the trip will be somewhat of an experiment this year, it will only be open to 50 second-year students. Sethre-Hofstad and Lyons Hanson hope to open the retreat up to more sophomores in the future, provided the retreat is a success. Lyons Hanson said they hope to attract second-year students who are both heavily involved or set in their majors and those who are still figuring out their plans for the future. Both kinds of students will benefit, she said.